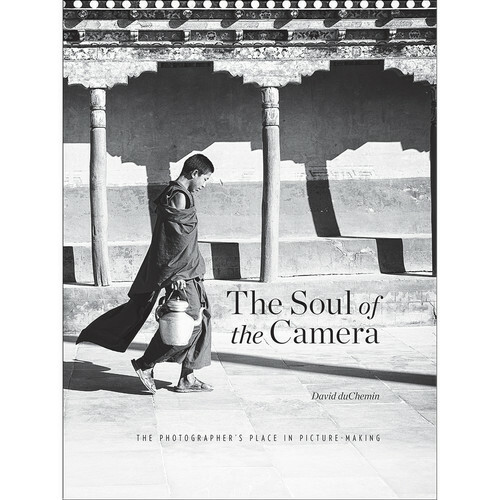 The Soul of the Camera: The Photographer's Place in Picture-Making from Rocky Nook is a beautiful collection of essays and black-and-white images by author and photographer David duChemin. In this book he explores topics such as craft, mastery, vision, audience, discipline, story, and authenticity, and in this personal and dramatic journey he forces us to challenge the idea that our cameras, lenses and settings are anything more than dumb, mute, tools. duChemin argues it is the photographer, not the camera, that makes a good photograph, and he demonstrates how conveying our vision and connecting with others as artists is at the core of our humanity. Box Dimensions (LxWxH) 9.3 x 7.3 x 0.9"